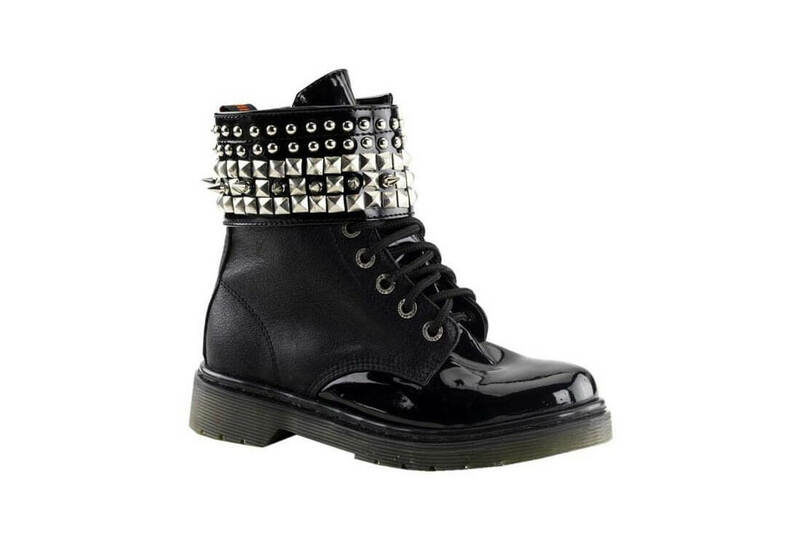 8 eyelet, women's combat boot with cuff strap that has spots, pyramid studs and spikes. The toe is vinyl shinny and is made of double stitched PU. 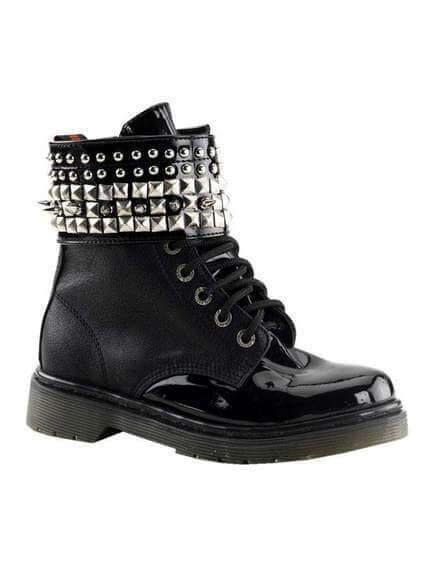 This boot also has a 1 1/4" Heel.